Weather-forecast looks good for the weekend. 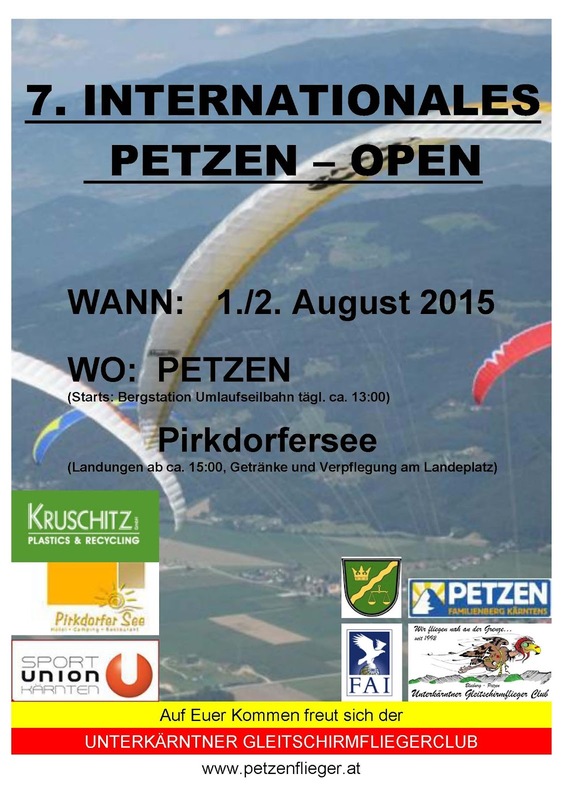 We have uploaded waypoint-files, airspace-file and registration form here - Petzen Open 2015. 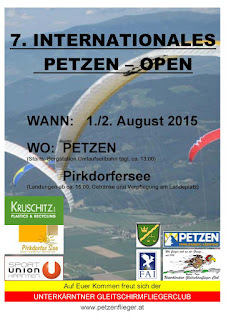 See you for registration on Saturday 9:00 to 10:30 a.m at Camping Pirkdorfersee - near the Beachvolleyball area.